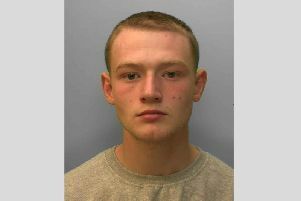 Man tries to rob East Grinstead woman at her home. Police are appealing for witnesses to an attempted robbery by a bogus caller in Holtye Avenue, East Grinstead, at 12.10pm on Friday. The man called at the door, asked to read the meter and entered uninvited, demanding money from the woman in her fifties, police say. She said she had none and the man pushed and attacked her, causing a minor cut, before leaving empty-handed. The suspect is described as white, in his 30s or 40s, 5ft 10ins of slim build and with blond/mousy short hair. He was wearing a green t-shirt and shorts and spoke with what was described as a foreign accent. Detective Constable Jodie Palmer said “This was a very traumatic incident for the victim, who was left extremely upset and shocked at what had happened. “Thankfully, this kind of incident is rare but we would ask members of the public to be vigilant and keep an eye out for anyone acting suspiciously. For advice on keeping thieves out of your home see the Sussex Police website.